You are invited to enjoy our facility, which includes amenities such as our Lifestyle Retail Boutique, Fireside Lounge, Relaxation Lounge, Sauna, and complimentary beverages and snacks. Private locker rooms with steam rooms, spa robes, slippers and personal amenities are offered for use with spa services. We welcome walk-in appointments, however, to ensure that your service is scheduled at the best time for you, we recommend that you reserve your appointments 2 to 4 weeks in advance. You can schedule your appointments by telephone, text or online. We require a credit card at the time your reservation is made to secure all appointments. Our prices and services are subject to change. Our technicians are highly-trained in their field of expertise, and are the best in the industry. If you have a preference for a male or female technician, please make your request known when making your reservation. If you must reschedule or cancel your appointment, please notify us 24 hours in advance to avoid a 50% charge for these services. Failure to arrive for your appointment or notify us, will result in a 100% charge for all reserved services. Gratuities are not included in the price of our services or packages. At your discretion, gratuities are graciously accepted by our technicians. Gratuity envelopes are available upon check-out. The industry standard ranges from 15% to 20% of the service fee. Please note that we do not add gratuities on credit card payments. An ATM is available inside our facility. Gift cards are perfect for any occasion! We offer gift cards in any dollar amount. G2O gift cards may be purchased by telephone or online. Spa Series for our spa services are more effective when performed on a regular basis. With the purchase of five of the same spa services, you receive the sixth FREE. Spa series are ideal for gift giving! Gift cards are not redeemable for cash and are non-refundable. Unopened merchandise may be returned within 14 days from the date of purchase for a refund. Opened merchandise may be exchanged within 30 days from the date of purchase. Gift cards, services, series and packages are non-refundable. G2O is an adults-only facility. We ask that you make arrangements for your children prior to your spa visit. Anyone under 18 years of age must have parental or legal guardian written consent prior to scheduling and receiving services. Please do not bring your jewelry and other valuables into the spa. We regret that we cannot be responsible for lost or damaged personal items. G2O offers amenities that you can enjoy prior to and after your spa services. 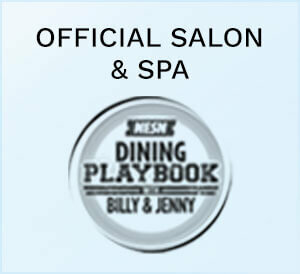 Please plan to arrive 15 – 30 minutes before your scheduled appointments to relax and prepare for your spa services. A late arrival may result in a shortened service. We will do our very best to accommodate you. In this instance, you would remain responsible for all reserved services. Please be aware that no outside food or beverages are allowed on the premises. Guests wishing to order food may do so through G2O from one of our approved vendors. For the comfort of all of our guests, we ask that you turn off and refrain from using your cell phone while inside our facility. We love our pets, too! However, we regret that we are unable to allow pets inside our facility due to State Board Regulations. A service animal is legitimately trained to be in public and to be under control and non-intrusive and not bark. The work or task a dog has been trained to provide must be directly related to the person’s disability. Emotional support dogs are not covered under the American with Disabilities Act and can legally be denied access. Spa services are highly therapeutic and, therefore, we reserve the right to refuse spa services to any guest under the influence. Alcohol and drugs are not allowed in our facility.